This is quite intriguing. I found this picture of Kilkenny Castle in relation to my 14th and 15th Great Grandparents. More to be discovered but in the meantime I feel quite justified in flying the Irish flag – and wearing green. In my genealogy research I am finding several interesting connections. I’m trying to trace each branch as far as possible. Right now I’m in the midst of several 17th and 18th GreatGrandparents and I’m finding links to two castles in Scotland, pictured below. I’m finding more Lairds and Ladies in my Scottish ancestry. It’s fun, particularly when it’s a Lady Janet. This is one of Lady Janet’s castles – Forsyth Castle. 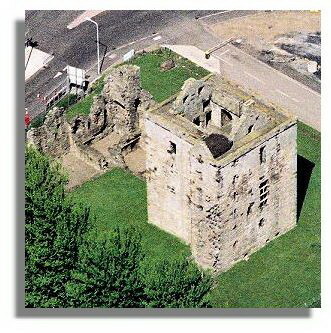 Excerpts from Wikipedia…..Rosyth Castle is a fifteenth century ruined tower house ….Fife, Scotland. It originally stood on a small island in the Firth of Forth accessible only at low tide, and dates from around 1450, built as a secure residence by Sir David Stewart, who had been granted the Barony of Rosyth in 1428. Oops – I think maybe I’m counting this Lady Janet twice. I’ve somehow discovered her before.